Care2 Causes | Will Meghan Markle and Prince Harry's Royal Baby Be Raised Vegan? Will Meghan Markle and Prince Harry’s Royal Baby Be Raised Vegan? It’s been no secret that Meghan Markle, the Duchess of Sussex, prefers to eat a plant-based diet most of the time. It therefore shouldn’t have been a surprise when rumors arose that she and Prince Harry might raise their royal baby as a vegan. Somehow, this left many royal watchers aghast. A vegan baby? Can you really do that? Is that wise? It it safe? And if the rumors are true, one of these naysayers might be Queen Elizabeth herself. When your parents or in-laws don’t agree with decisions you’ve made about how you raise your child, family tensions can run thick. Now, imagine that your in-law is the queen of England. Suddenly, your family feud is international news. No pressure or anything, right? 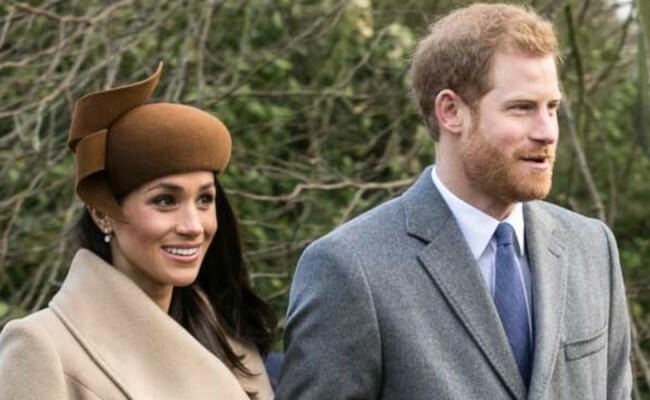 In a 2016 Reader’s Digest Best Health interview, Meghan said she tries to “eat vegan during the week and then have a little bit more flexibility with what I dig into on the weekends.” She’s also apparently been quite successful at getting husband Harry to minimize meat and increase his fruit and vegetable consumption. So it’s possible that Baby Sussex would follow a similar, mostly plant-based diet. CAN BABIES THRIVE AS VEGANS? It’s curious that there’s so much worried reaction to the notion of a vegan royal baby. When fed with care for their special needs, vegan babies are healthy, happy humans. But what about those occasional news stories of people who fed their babies “vegan” diets and either killed them or nearly did? Those parents were doing vegan wrong. They didn’t do their research or talk with a knowledgeable nutritionist about a vegan baby’s needs. And unfortunately, those sad stories scare people into thinking babies should not be vegan. Meghan has been a trailblazer at shifting the royal family’s attitudes toward the 21st century. A generation ago, no one would have imagined that one of Princess Diana’s sons would be permitted to marry an American actress and divorcee. The wedding itself was tradition-shattering in many ways. And now, Meghan and Harry’s child-rearing decisions will hopefully keep the shift going in a positive direction. Meghan continues to impose her own style and tastes on royal life. For one, she’s gotten Harry to put the brakes on his hunting hobby. She also speaks out on equality and gender rights, continues to practice yoga and remains a voice for animals. Certainly, having a world-famous animal activist and influencer insist on raising her baby as a plant-based eater would bring welcome attention to this type of diet. Go vegan, Baby Sussex. You’ll have a positive impact on the environment while saving animals’ lives and your own future health. And let your great-grandma know it’s OK, won’t you? "A few years ago I prepared a list and discovered there were literally thousands of animals I didn't eat... dogs or cats, bears or bats, tigers or turtles, horses or hamsters, rosellas or rats. Nor did I drink the milk of dogs, donkeys, giraffes, or cats. I decided to go only five animals more... I simply added cows, sheep, pigs, chickens and fish to the list. It was a breeze. "I didn't crave lamb any more than I craved lion; I didn't miss beef any more than I missed bandicoots. I didn't miss chicken any more than I missed cheetah. I didn't miss pork any more than I missed porcupine. "I replaced dead animals with an astounding variety of colourful, delicious and healthy plant foods. And I feel better for it. I sleep peacefully and deeply. I now have boundless energy, more than people half my age. My memory has improved rapidly. I remember what an unexamined life I had lived. And I care for all living things more deeply. Frankly, I didn't know what I had been missing. The threat of "overpopulation" is cited to justify abortion as birth control. On a vegan diet, however, the world could easily support a human population several times its present size. The world's cattle alone consume enough to feed over 8.7 billion humans. Sir Paul McCartney has endorsed a "Meatless Mondays" campaign. In 2011, the San Francisco Board of Supervisors signed a VegDay Resolution encouraging a plant-based diet on Mondays. If everyone in San Francisco went veg one day per week, it would save 37,000,000 lbs. of greenhouse gas emissions. That is the equivalent of taking 123,822 cars off the streets of San Francisco! According to the Sierra Club, if Americans reduced meat consumption by just twenty percent, it would have the same environmental benefit as everyone switching from a standard sedan to a hybrid vehicle. Even if you argue that shifting to a vegan diet, isn't enough to stave off overpopulation, in light of the data showing the depletion of energy, food, fresh water, land space, raw materials and resources as well as the heavy contribution to air and water pollution, deforestization, and global warming caused by a meat-centered diet, how do you -- worried about "overpopulation" consuming the world's resources -- justify consuming animal products?! If milk is the perfect food, why is nearly 75 percent of the world's population lactose-intolerant? Cow's milk is the perfect food only if you're a baby calf! Cow's milk is meant for baby calves. Human breast milk is meant for human babies. Animal activists are quick to point out that man is the only species that drinks the milk of another species. The number of animals killed for food in the United States is nearly 75 times larger than the number of animals killed in laboratories, thirty times larger than the number killed by hunters and trappers, and five hundred times larger than the number of animals killed in animal pounds. Veganism is direct action. Since breastfeeding is vegan in my book, she can raise the child as a vegan at least until solid foods are introduced! Mi auguro di no, il bambino deve poter mangiare tutto!! No mothers milk for this baby? Personally, I would not care at all how they raise their baby, as long as the baby remains healthy. I also think it is no one else's business either.